Bad Boys 3 Gets an Official Title and Production Start Date? 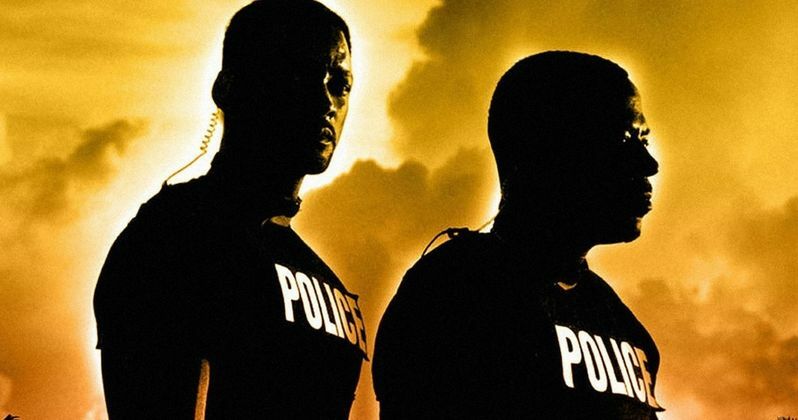 We have some new details on Bad Boys 3, which is really, finally happening after a bunch of false starts over the years. Recently, Will Smith and Martin Lawrence got together and confirmed, via a very enthusiastic Instagram video, that the long-awaited sequel is actually gearing up to film. Now, we have word that the movie will begin production in January 2019, as well as news of a change to the movie's official title. For some time we've been hearing that the third installment of the franchise will be going under the title Bad Boys For Life. That's still true, but the style has been changed to Bad Boys For Lif3, in order to force the number three in there. That's not necessarily finalized as Sony hasn't sent out an official press release, but styling the title as such would seem to be on brand. Even though Michael Bay won't be in the director's chair, we should still expect this to come with the same sort of over-the-top craziness we've become accustomed to. Filming locations listed in the new report include Miami, Florida and Atlanta, Georgia. Filming is expected to begin on January 14 and will wrap on April 11. That will leave plenty of time for reshoots, if necessary, as the practice of reshoots on big movies such as this has become common practice in recent years. At the present time, Martin Lawrence and Will Smith are the only two confirmed cast members. Though, Gabrielle Union has expressed her desire to return and musician Nicky Jam may have hinted at his involvement in the project recently. As mentioned, Michael Bay won't be in the director's chair this time around as he was for the previous two adventures with Marcus Burnett and Mike Lowery. Instead, up-and-comers Adil El Arbi and Bilall Fallah have been tapped to helm Bad Boys For Life, or should we say Lif3, working from a script by Chris Bremmer. The legendary Jerry Bruckheimer is on board as a producer, alongside Melissa Reid, Chad Oman and Doug Belgrad. While Sony hasn't confirmed anything, the plot is said to see Marcus (Martin Lawrence) working as a private eye, with Mike (Will Smith) living the bachelor life while having a midlife crisis. The iconic duo joins forces once again when a mercenary puts a price on their heads for killing his brother. With production expected to get underway in just a couple of months, we should be hearing some more official details sooner rather than later. The previous two movies made a combined $414 million worldwide and the third installment has been stuck in development hell for years, with many different filmmakers coming and going during that time period. But barring any additional setbacks, it's about to get real. Bad Boys For Life is currently set to arrive in theaters on January 17, 2020. This news was first reported by Production Weekly.